Lester Tumlin, 100, passed away on Monday, January 21, 2013 at the Georgia War Veterans Nursing Home in Augusta, Georgia. He was born in Colquitt County, Georgia on July 18, 1912 to the late John Mitchell and Minda Jane Tumlin. He spent his early years on the family cotton farm before entering the United States Army in 1935 where he served in the European Theatre 86th Division of the 3rd Army under General Patton and General Hodges. They walked across France and Germany and captured over 19,000 prisoners. Later, Lester served his country in the Korean War under the leadership of General McArthur with the 538th Ordinance MAM Company. After retiring as a Master Sergeant in 1955, Mr. Tumlin taught ROTC for several years with the Fulton County School System before beginning a career as a civil servant first with IBM and then later with the Army Reserve Components Program. He retired from Ft. Stewart in 1977 and after working for the United States for over 42 years he had received numerous awards including 5 Battle Stars, the Commendation Medal, EAME Theatre Ribbon w/1Bronze Star, Korean Service Medal w/one silver star as well as several Expert Badges and the Good Conduct Medal. Lester became a Christian in 1940 and was baptized in Columbia, SC. He was an ordained deacon for over 50 years and had also served as Sunday School Superintendent, Training Union Director and Chairman of Deacons. Lester was a Gideon for over 15 years and taught a Bible study class at the Golden Living Center for several years. He also taught youth Sunday School Classes for over 30 years and was fundamental in the planting of two churches, Ash Street Baptist in Forest Park, Georgia and Forest Drive Baptist in Columbia, South Carolina. 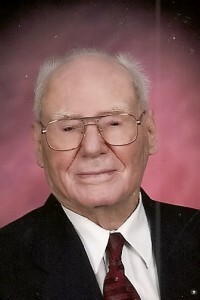 Lester was a member of the First Baptist Church of Jesup, the Lyons Club and the Kiwanis Club. In addition to his parents, his wife of 61 years, Vivian Tumlin, preceded him in death as well as eight of his nine siblings. He is survived by three daughters and two sons-in-law, Judy Tallent of Fayetteville, Georgia, Vicky and Woody Rehberg of Nahunta, Georgia and Cindy and Jeff Stouffer of Ocean Isle, North Carolina; one brother, Jack Tumlin of Doerun, Georgia; eleven grandchildren, Tim Echols, Terry Echols, Ted Echols, Tommy Echols, Jodie Hilson, Jennifer Scruggs, Jill O’Quinn, Leslie Payne, Whitney Payne, Nicholas Rehberg and Nathaniel Rehberg and twenty-five great grandchildren. Numerous nieces and nephews also survive. Funeral services will be at 3:00 p.m. on Saturday, January 26, 2013 in the James R. Gordon Memorial Chapel of Howard and Jones Funeral Home. The family will receive friends one hour prior to the service at the funeral home. Interment will follow in Pinecrest Memorial Cemetery with full military honors. Active pallbearers will be Tim Echols, Terry Echols, Ted Echols, Tommy Echols, Nicholas Rehberg and Nathanial Rehberg. Honorary pallbearers will be the Senior Adult Sunday School Class of First Baptist Church of Jesup.